Taking a trip up to Portland Maine in the near future? Maybe you might want to hold off for for a little bit… Several months maybe? 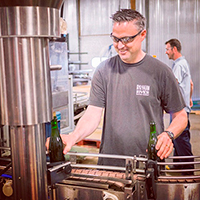 Allagash recently had Vinnie Cilurzo from Russian River Brewing Co. in house to bottle up the American version of the legendary Wild Friendship Blend Assemblage De L’Amitie. 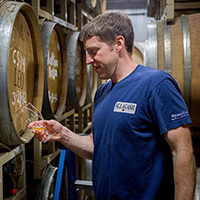 This special beer consists of a blend of course of Allagash Coolship, Russian River Sonambic and Cantillon Lambic. The first time the beer was released was at Cantillon on a day they called Quintessence. Beer connoisseurs from all over the world joined the three breweries for the event where they got to taste many of their notable beers and the Wild Friendship Blend. Quintessence is a very special event held at Cantillon where people are able to purchase tickets for a tasting tour of the brewery. Here is where you can try their special beers and to learn about the collaborations with other great breweries. 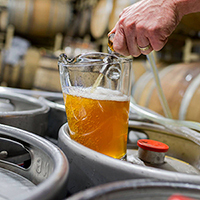 It is and unguided tour that leads you around the brewery with pit stops along the way to fill your glass with some really delicious beer. This is very exciting news for us in America being that this was a one time only released beer in Brussels. So if you are anywhere close to Portland Maine when this comes out in the “several month” future. It sound like a sick day to me… Though there isn’t much information yet for this release I’m sure craft beer nerds all over are keeping their eyes and ears wide open.